This week-long winter holiday getaway, culminating in the National Audubon Society Christmas Bird Count, takes place December 15-22 and is a great opportunity to observe all the diverse wildlife the Osa Peninsula has to offer. 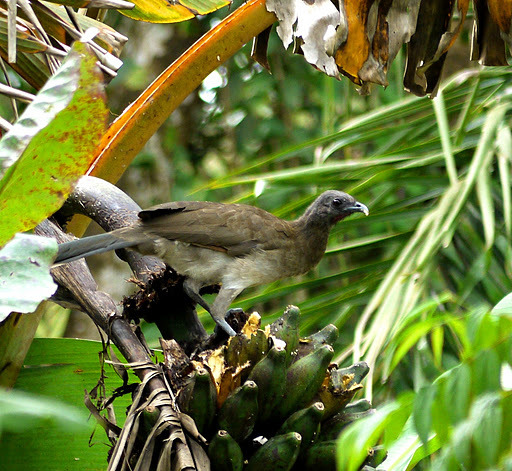 Led by knowledgeable avian ecologist Karen Leavelle and trained naturalist guide Roger Muñoz Vega, who are intimately familiar with the bird species and tropical ecosystems of Osa, the 2012 Christmas Bird Count is sure to be the experience of a lifetime. Our conservation birding trips include extensive birding, forest hikes and nightly talks and presentations by our staff of biologists and conservation professionals. Topics include Osa natural history, sea turtle conservation, wild cat conservation, avian research and conservation, amphibians and native species reforestation. We welcome you to be part of our mission to conserve the peninsula’s globally significant biodiversity and we hope to see you on this fantastic trip! Check out our website for further details and trip itinerary. Karen Leavelle has a graduate degree in avian ecology and over 13 years of experience in research and conservation of endangered bird species in tropical and temperate climates. She has spent several years working on the Osa Peninsula as Osa Conservation’s Resident Ornithologist conducting research on the endangered Yellow-billed Cotinga and the Scarlet Macaw, and currently works as an avian research scientist and leads birding trips around the peninsula, sharing her love of the area and the hundreds of migratory and resident bird species that can be found there. An Osa native, Roger Muñoz Vega is a licensed guide with over four years of experience leading birding and naturalist trips in the Osa Peninsula. A nature-lover, Roger has a special interest in birds and has an eagle’s eye for spotting both endemic and migrotory birds in various habitats around the peninsula. This entry was posted in Birds, Volunteers and Visitors and tagged Audubon, Bird, Birding, CBC, Christmas, Count, Holiday, National, osa, Peninsula, Society. Bookmark the permalink.